Ah, the Maldives sound like music in our ears. The tropical paradise in the Indian Ocean is a true surfing paradise with waves scattered all over the 26 atolls. 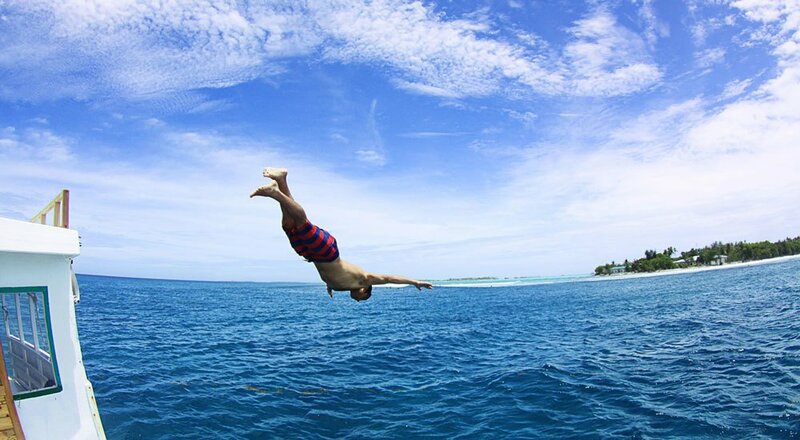 No other country on the planet combines true luxury with surfing quite like the Maldives with 5-star resorts, mega yachts, seaplane surf excursions all part of the daily menu. But what if we tell you that you don’t need a large bank account or an AMEX Black to be able to afford a trip to the Maldives. The Island state is no longer an exclusive holiday surf destination for the world’s 1% and we are here to prove it. 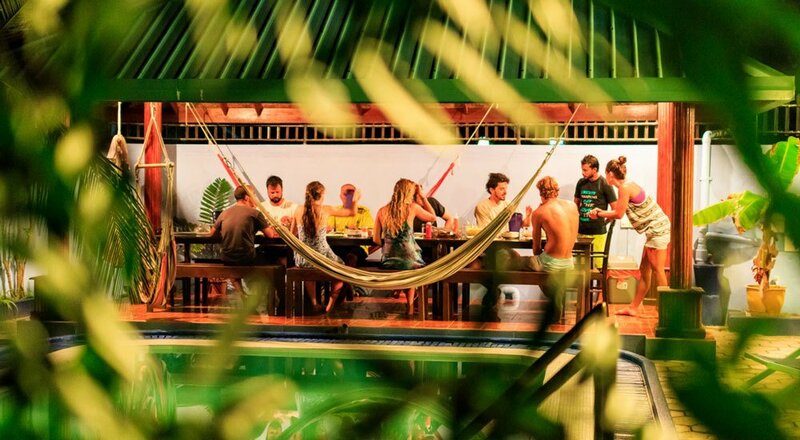 Check in at one of our partner surf camps in some of the best locations and get a glimpse of surfing’s Valhalla without breaking the bank. The Maldives have captured our hearts since 2005. Most of our staff have spent extensive time traveling across the 26 atolls, calling surf camps our temporary homes for a while. With us, it’s always personal. We cater to your needs and come up with the best alternatives that suit your needs. How close can you get to perfect waves? "...Surf, Yoga, Snorkeling and Scuba...all in one trip...."
"...The surf was awsome, Jails is a walk away whenever you want, and the Dhoni is always ready to take you to the best spot around...."
"...Not to mention all the other spots to which we drove with our Dhoni. 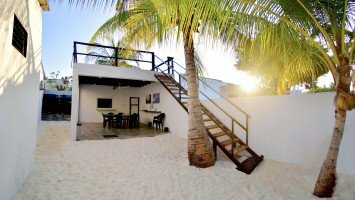 I really have an incredible week behind me and I'm super happy that I chose Just surf villa for my holiday :)"
"...Living in front of the surf spot. And what a surf spot. I was surfing barrels for whole week. 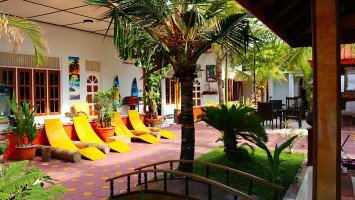 I'm really speechless and happy that I chose Core Cokes Surfcamp for my surf vacation...."
"Really, really great. Not too much money, but AMAZING!" "...Everyone was very friendly and as a solo traveller I felt very comfortable. 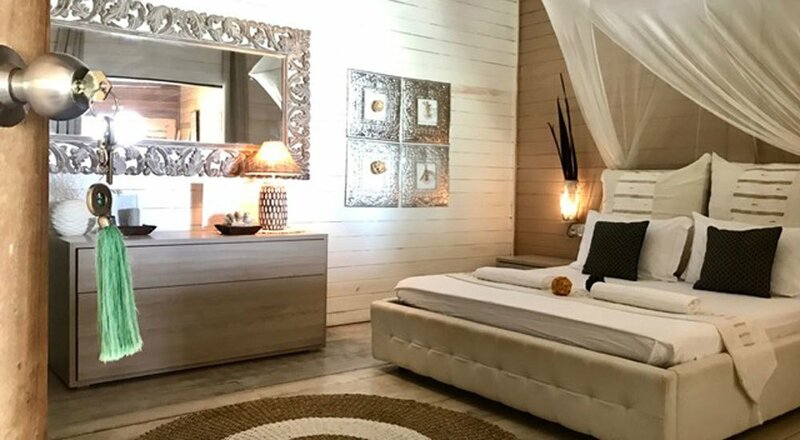 The room was clean, comfortable and a good size...."
Our partner camps are scattered all over the region with a large chunk situated in the North and South Male Atolls. Touted as the surfing mecca of the Maldives, the North and South Male Atolls offer something for every skill level. Sleep next door to some local standouts like Cokes, Chickens or Sultans without spending a fortune on expensive accommodation and trade pristine Maldivian barrels with your mates until the sun goes down. 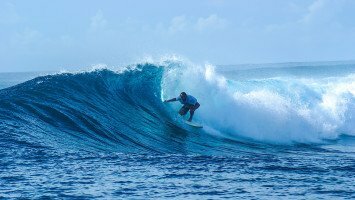 The Maldives offer waves all year round. 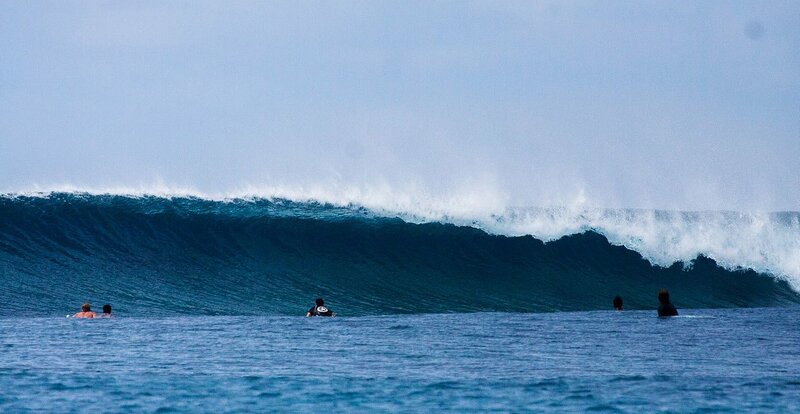 The North Male Atoll is considered the best place in the Maldives when it comes to surfing. 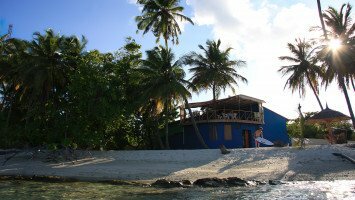 It offers favorable winds, consistent swells and reefs that make you never want to leave the water. This type of perfection comes at a price as it also draws the crowd, especially between May to August. March and April or September to October are your go-to months if you want to avoid the crammed lineups but still score some of the best waves of your life at world class spots such as Chickens, Cokes or Sultans. 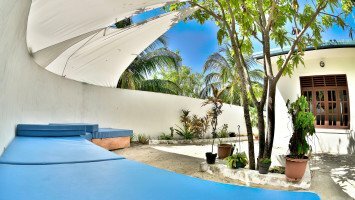 If you want to avoid heavy traffic in the lineup altogether, then the Southern Atolls are exactly what you are looking for. Ultra consistent, often featuring the biggest waves in the Maldives breaking over picture-perfect reef formations with not a single soul around. The Southern Atolls are an all year around destination, but in case you want to get your dusty ol' gun out of the closet you should head to remote paradise deep into the Indian ocean between March and April. Maldivian camp life is the real deal and you have the choice to relax by the pool, get a taste of local living by exploring the local islands or replace your early morning session with some yoga or a trip to catch your lunch on the open sea. They might not have the exclusivity some of the surrounding luxury resorts have but Maldivian surf camps are clean, friendly, homie and best of all, located right next door to some of the best waves you can find. It’s all about the good life here, so make friends, stuff your bellies with amazing local & western food and soak up the true spirit of Maldivian hospitality during your stay.